Did you know he gave his whole salary one year to charity? Ah, David Beckham! A heart-throb the world over, not to mention a doting dad of four gorgeous children, and a husband to one of the worlds most popular designers and ex-Spice Girl, Victoria Beckham. 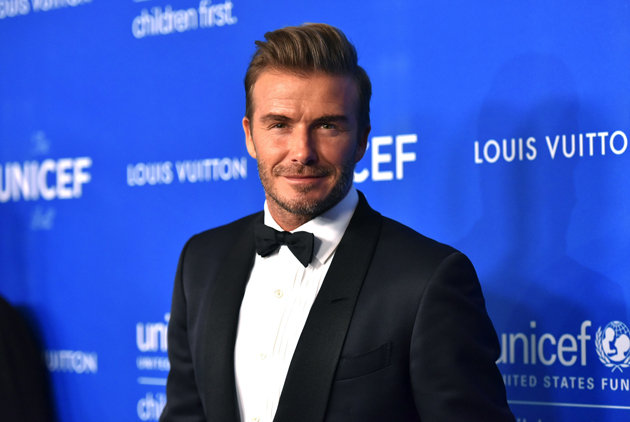 Last night the gorgeous ex-footballer was honoured by UNICEF at a star-studded ball for his work helping children through his Seven Foundation. The gracious star received the prestigious Humanitarian Leadership Award during a glitzy ceremony from legendary singer Elton John. 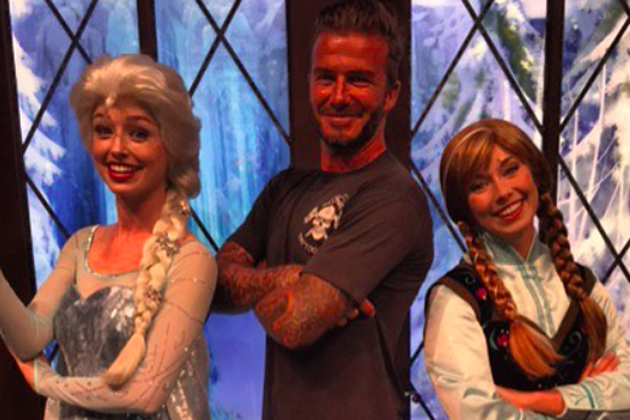 Could we love David Beckham anymore right now? As well as owning his own charity called the Victoria and David Beckham Charitable Trust, which provides wheelchairs to children in need, David spends a lot of time travelling as an ambassador for UNICEF and isn’t afraid to look silly raising money for the likes of Comic and Sport Relief! Plus, when he played for French team Paris Saint-Germain, he didn’t earn single penny as during his contract with the team he donated his entire salary to charity. Hats off to you Becks. On 17 January 2007, Rebecca Johnstone, a 19-year-old terminally ill cancer patient from Canada, received a surprise phone call from her idol David Beckham. After the conversation he went on to send her a signed Real Madrid jersey. Rebecca died 12 days later on 29 January 2007. Did you know he surprised his wife Victoria with her very own winery in Napa!! They both have a passion for wine so he thought it was the ideal gift. Oh, and in case you are wondering, it’s only open to close friends and family – darn! Plus, for their 13th wedding anniversary, David made his wife a self-written love book apparently. He also rented out a super luxurious Malibu pad for the couple to spend some one-on-one time together. What a hubby! 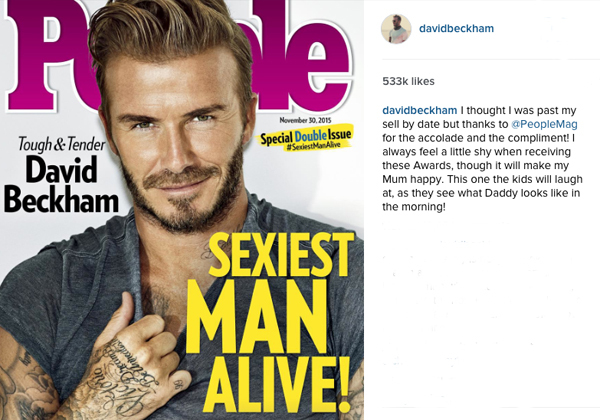 Beckham is a brilliant father – there’s not doubt about it! He’s pictured with his kids constantly and always spends time with them either playing sports, going out for dinner, jetting off on holidays, or simply just grabbing an ice cream like all other fathers do. He knows the true meaning of family, and always tells the media how much he couldn’t have been a success with Victoria and his kids. Bless. He’s a pie and mash kinda man! He’s a man after our own heart! 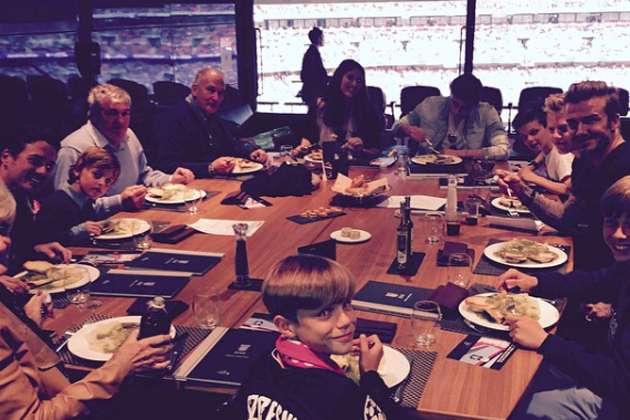 That’s right, Beckham’s favourite meal is pie and mash with a side of jellied eels! When living in Paris he had it shipped to his hotel he wanted it so much! Plus he loves a burger or two and is often snapped spending some quality father son time with Brooklyn at numerous US restaurants grabbing a bite to eat. He’s had more hairstyles than we’ve had hot dinners! 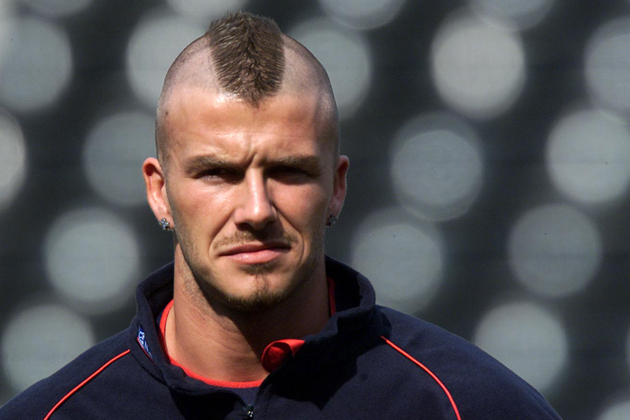 From those shaggy 90s curtains to a shaved head, Mohican, and plaits – David’s rocked all manner of male hairstyles yet he always manages to still look hot! He coordinates with his wife in a totally sweet way! Remember when he and wife Victoria stepped out in matching black leather outfits?! Some may say he was under the thumb, but we think it was sweet and showed his love for his wife who clearly asked him to do it and he did. Now that’s true love! And let’s face it – he’s hot! There’s no denying it, David is one hot man and it’s clear to see why Victoria keeps a close eye on him! Our favourite part of a Becks football match has ALWAYS been the shirt swapping at the end. Sorry but it’s true! Oh and PS…He once wore a sarong! Even though he got stick for it he didn’t care! He sported a black sarong back in 1998 and rocked the fashion world no end – but hey it was Becks so he TOTALLY got away with it in our book. Not afraid to break the mould – tick tick!